Respirator masks are designed to keep out pathogens that can enter the body through the mouth or nose. By blocking these pathogens, you increase your protection against Ebola. Not all respirator masks are effective against pathogens and particles, so you want to look for ones that have high ratings in safety and customer satisfaction. The 3M Particulate Respirator 8233 is one such mask. This is a NIOSH approved disposable one that has a top rated filtration protection of 99.97 percent. Inside the respirator, the material is made for the comfort of long usage. The mask has a cup that helps the respirator have a snug fit. There is a flexible nose clip that can be fitted to individual needs. This is what helps prevent condensation from building up in the safety goggles that you need to wear as well. It has a Cool Flow Exhalation Valve. This is a feature that makes it comfortable – even when you’re wearing it in hot weather. 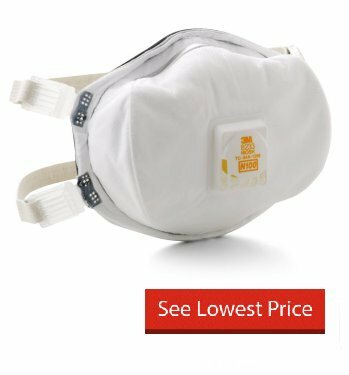 The respirator has a good seal and adjustable straps to ensure you get a tight, protective fit.